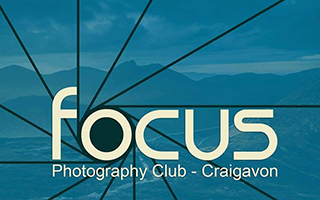 An early start on Saturday morning saw 5 Focus members making the trip to the North Coast to visit a number of landscape locations. The weather forecast was not great but this did not dampen the enthusiasm of the group as we headed towards Ballycastle. 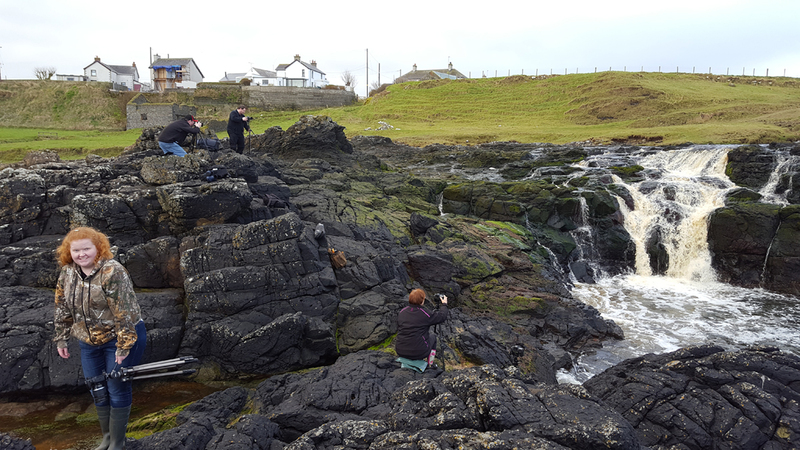 First stop was Dunservick to photograph the coastal waterfall. This provided good opportunities for practicing using neutral density filters for long exposures. 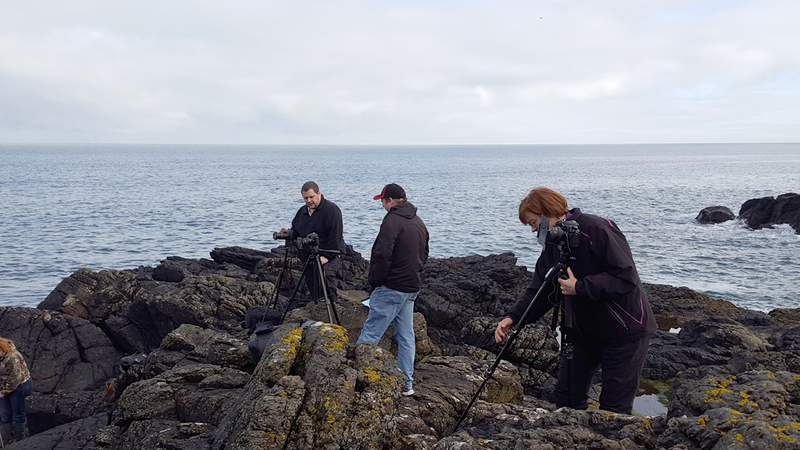 Once the main attraction was photographed members spent time searching out other compositions among the rock pools. Next up was Murlough Bay, the first Game of Thrones location of the day. The weather was not kind with grey light and some low cloud but the group persisted seeking out features of interest and engaging in some macro photography along the way. After a morning of fresh air lunch beckoned and the café at Ballintoy provided sustenance in a location brimming with landscape opportunities. The weather improved with broken sunshine and a couple of hours were spent taking photos whilst dodging groups of cloaked, sword wielding tourists from yet another GOT tour. Wildlife was also in abundance and the big lenses made an appearance with some very obliging birds on the nearby beach. 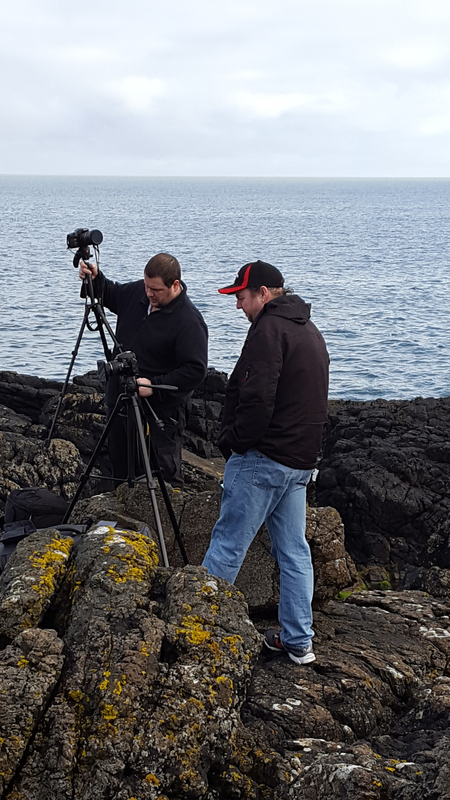 Our last stop of the day was Kinbane Head. The walk down the steep steps was worthwhile and we were treated to some lovely golden light on the castle and rocky beach. 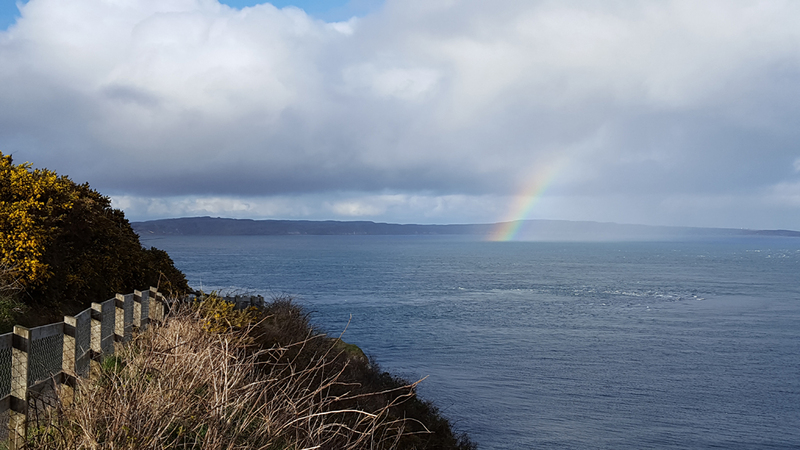 A harder climb back to the carpark was rewarded with the appearance of a beautiful rainbow over Rathlin Island to draw the curtain on a very enjoyable days photography.